Michael Stallard - The Superpower of Human Connection and Dangers of Loneliness and Social Isolation. There are 3 types of relational cultures: connection, control, and indifference We should be intentional about living and working in cultures of connection Leaders develop cultures of connection be communicating an inspiring vision, valuing people and giving them a voice. 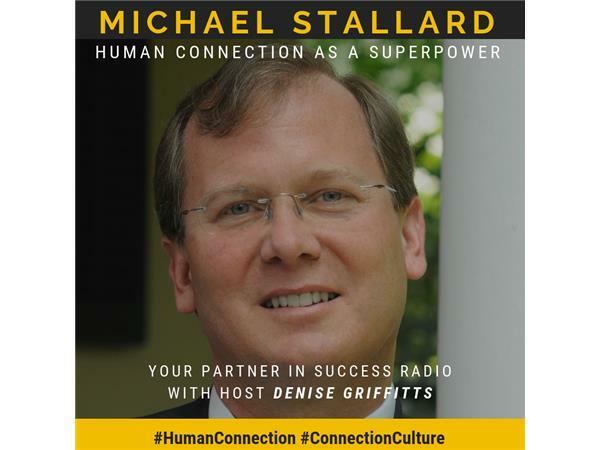 Michael Stallard is co-founder and president of the Connection Culture Group, a leadership training and consulting firm based in Greenwich, Connecticut. He gives keynote speeches, teaches workshops and consults at a wide variety of business, government, healthcare and education organizations including Costco, Memorial Sloan Kettering Cancer Center, NASA, the U.S. Treasury Department, and Turner Construction Company. Texas Christian University founded the TCU Center for Connection Culture based on Michael and his colleagues’ work.